The Southeastern Raptor Center will release six to eight rehabilitated Barred Owls Friday, Sept. 25 at Chewacla State Park. The release is in coordination with the Piedmont Plateau Birding Trail, which includes Chewacla State Park. The release is scheduled for 6 p.m. at the park, located off Shell Toomer Parkway in Auburn. The public is invited to attend the release; nominal park admission prices will apply. The release will take place after the Football, Fans and Feathers education program the Southeastern Raptor Center conducts on Fridays before home and away football games. The release is planned to give birding enthusiasts and fans ample time to drive from the SRC’s Edgar B. Carter Amphitheatre to Chewacla State Park. When injured raptors are brought to SRC, they are evaluated and treated with the goal of returning them to a suitable habitat in the wild, said Dr. Seth Oster, primary veterinarian and the SRC. The raptors being released here are young Barred Owls, brought to the center as orphans. In the case of these orphaned owls, Chewacla State Park provides an appropriate habitat for their release, he added. 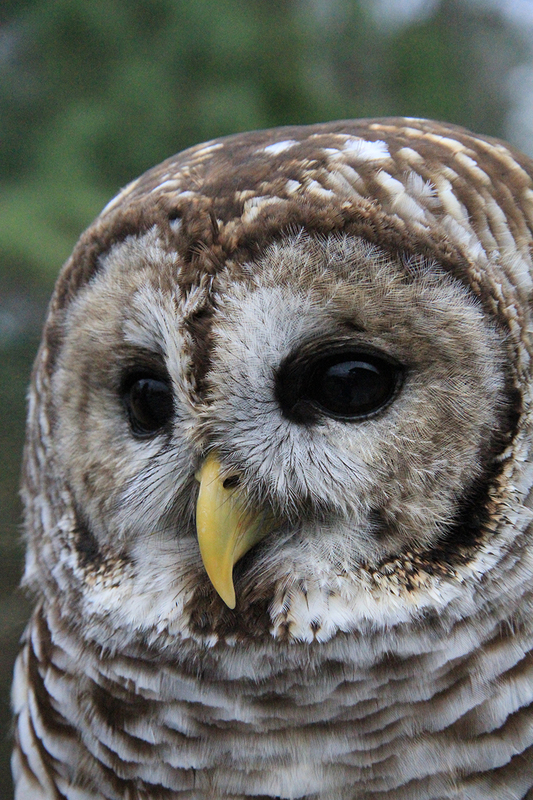 The Barred Owl is a beautiful raptor known for its enormous, soulful eyes. Barred Owls have very acute hearing to go along with their night-adapted vision. To compensate for the fact that their eyes can’t move, barred owls can rotate their heads about 270 degrees. Chewacla State Park is one of 34 sites on the Piedmont Birding Trail, which covers nine counties in east central Alabama. The Southeastern Raptor Center has a mission of rehabilitation, education and conservation and is a division of the Auburn University College of Veterinary Medicine. The center conducts more than 350 of educational programs annually, both at the center and around the Southeast, to educate the public about the importance of birds of prey. The center also takes in injured birds of prey, rehabilitates them and releases them back into the wild. This year alone, more than 400 birds were admitted for treatment. When release is not possible, the bird becomes a permanent resident at the center or is transferred to another educational facility.